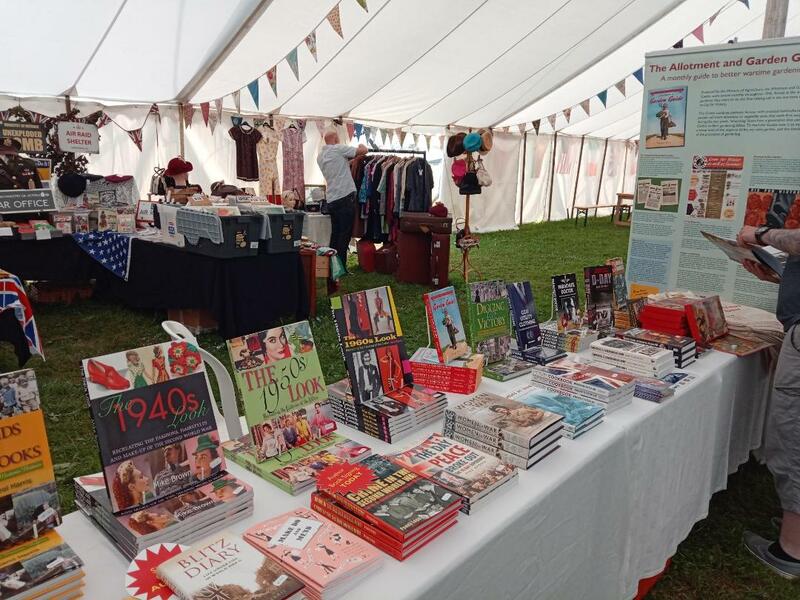 Liz Coward has teamed up with Jane’s Singapore Tours for a WW2 Themed Literary Tour, which includes an author talk/cheese and wine event at her Seletar home. 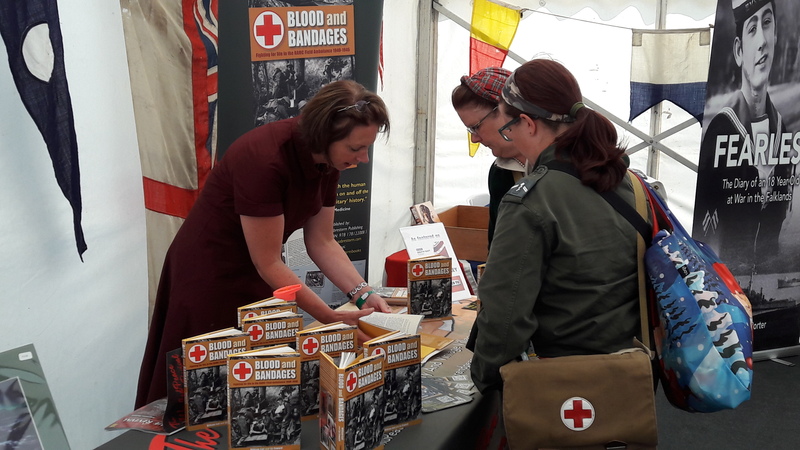 Liz will be talking about Blood and Bandages, her book centring on medical orderly William Earl, of the Royal Army Medical Corps. 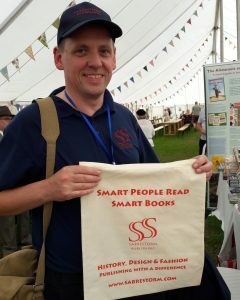 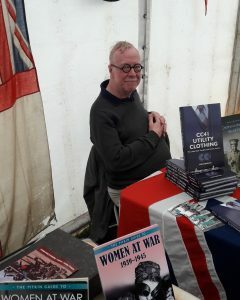 Sabrestorm authors will be at The War and Peace Revival again this year! 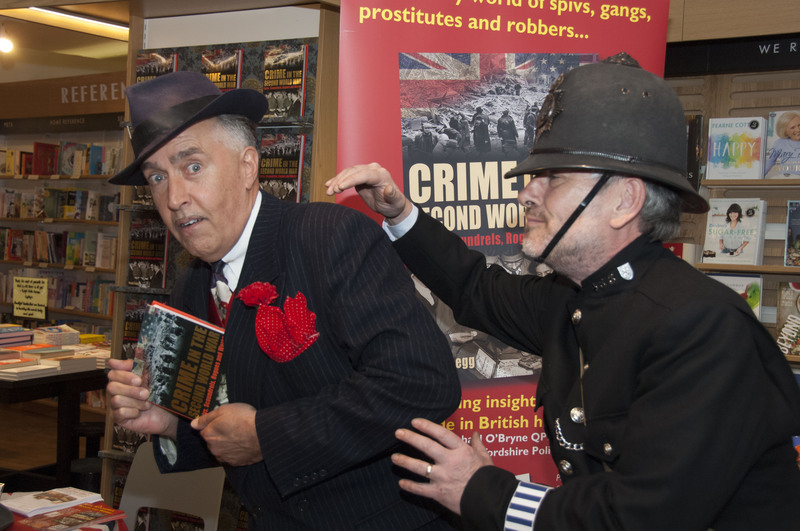 The five-day show in Paddock Wood, Kent, 23- 27 July, features talks, book launches and book signings in the Authors Pavilion. 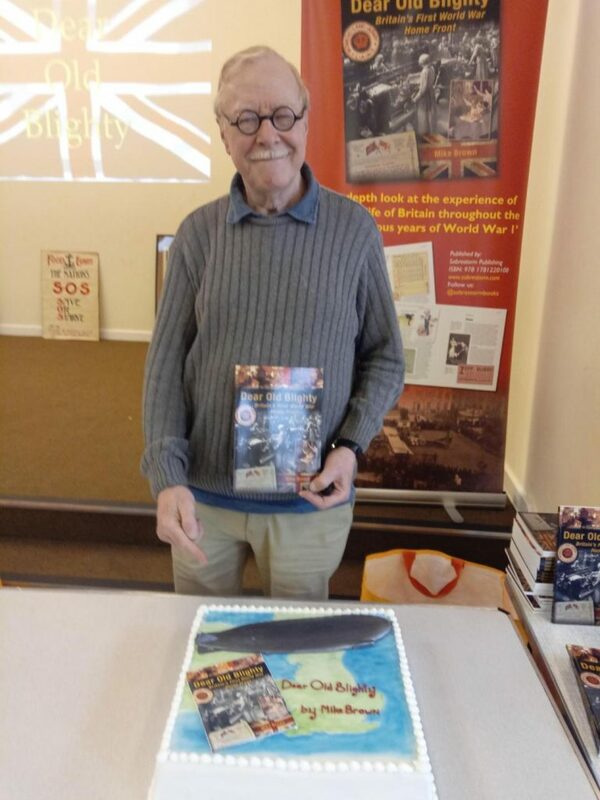 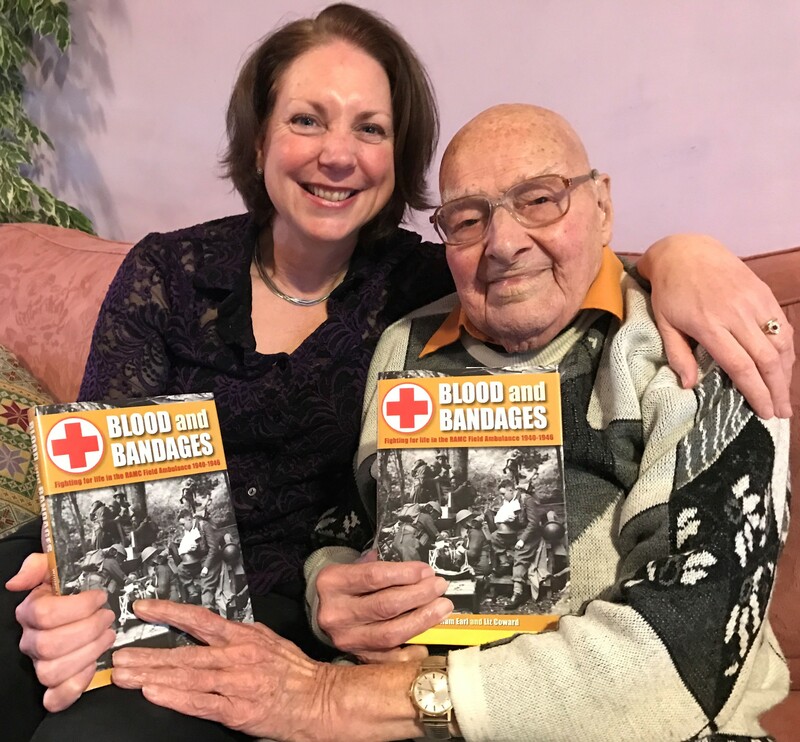 Liz Coward will be speaking about her book Blood and Bandages, Fighting for life in the RAMC Field Ambulance 1940 – 1946, the moving story of William Earl’s war. 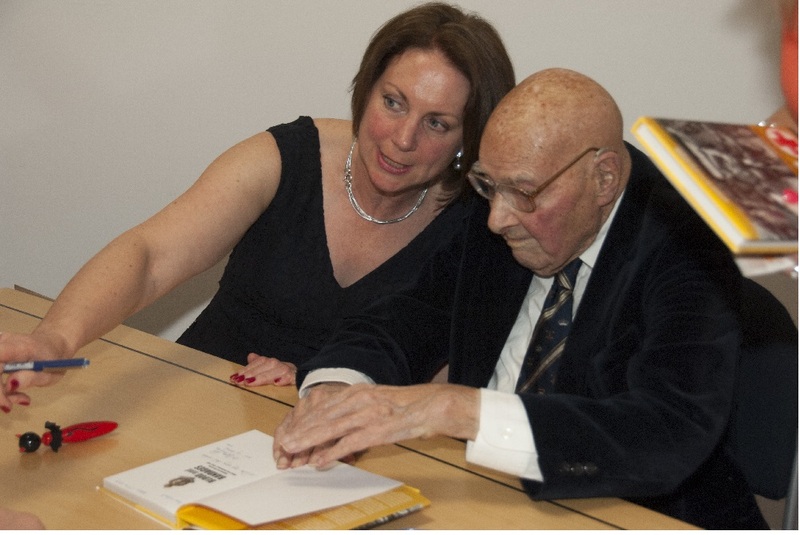 It is hoped that William, who will be 104 years young, will be well enough to attend. Penny Starns and Penny Legg will be launching their new book Escaping the Blitz, the story of WW2 evacuation. 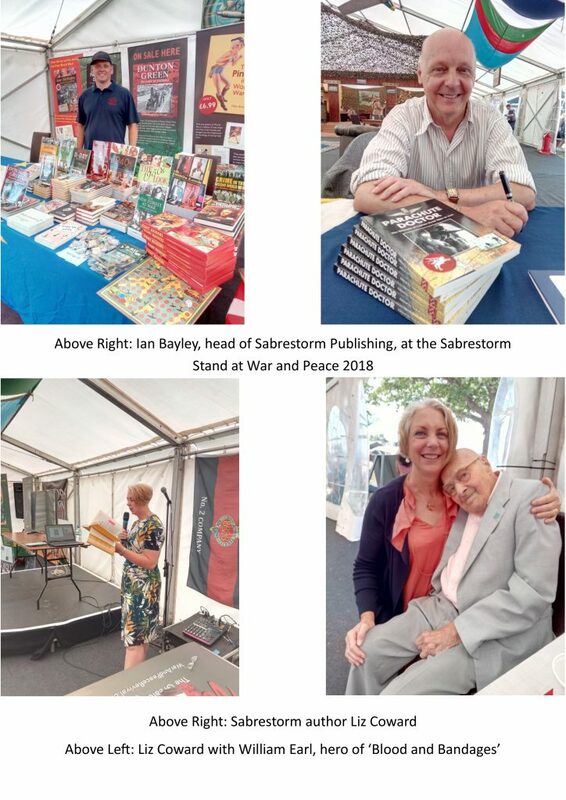 Sabrestorm Publishing will also have a stand in the Authors Pavilion, so please come along and say hello, and browse our titles! 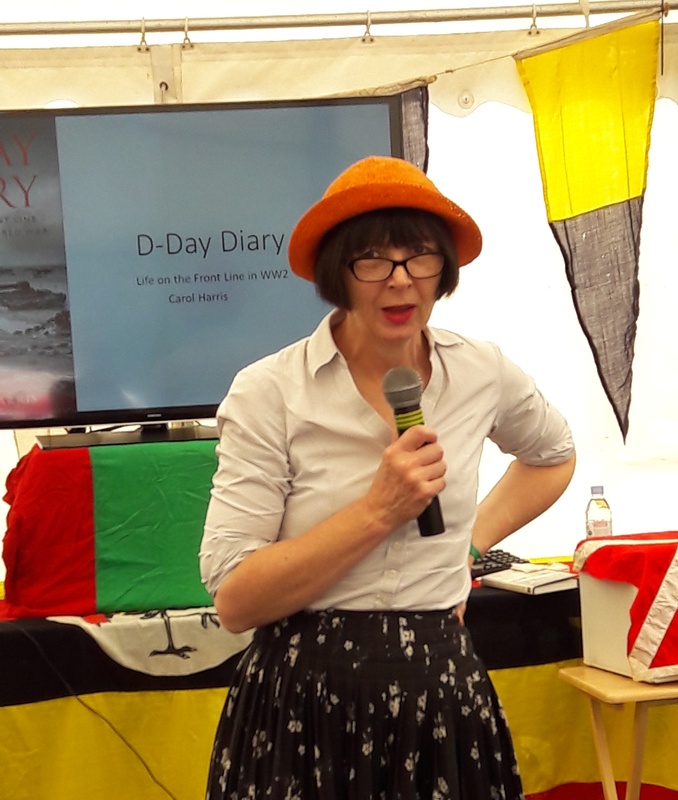 Liz Coward signing copies of ‘Blood and Bandages’ at The War and Peace Revival 2017, Kent. 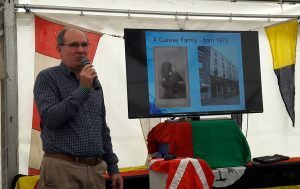 David Worsfold speaking at The War and Peace Revival, 2017. Carol Harris at The War and Peace Revival, 2017. 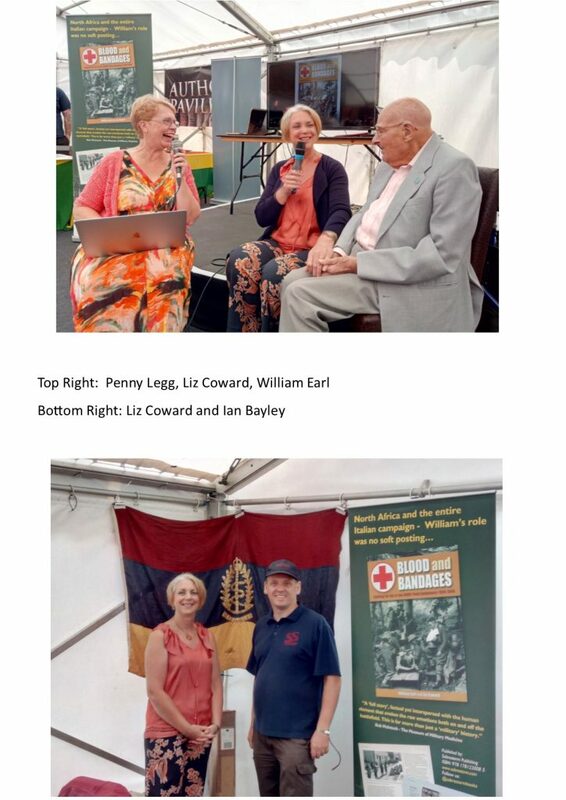 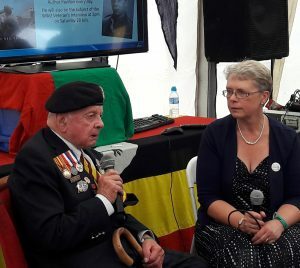 Jeff Haward MM is interviewed by Penny Legg at The War and Peace Revival, July 2017.